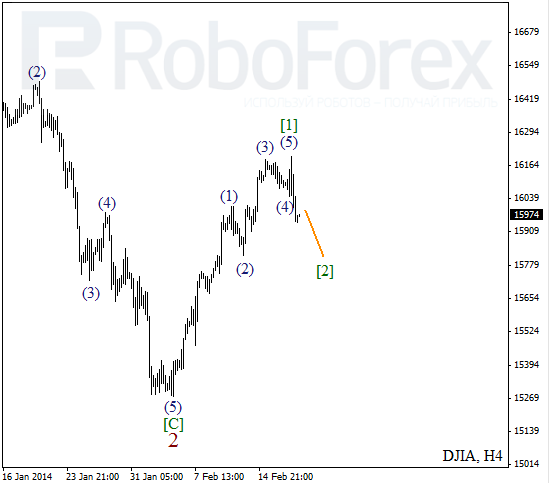 Probably, after completing correction inside the second wave, Index formed initial impulse inside wave . In the nearest future, instrument may be corrected inside wave , but later it is expected to start growing up inside the third one. 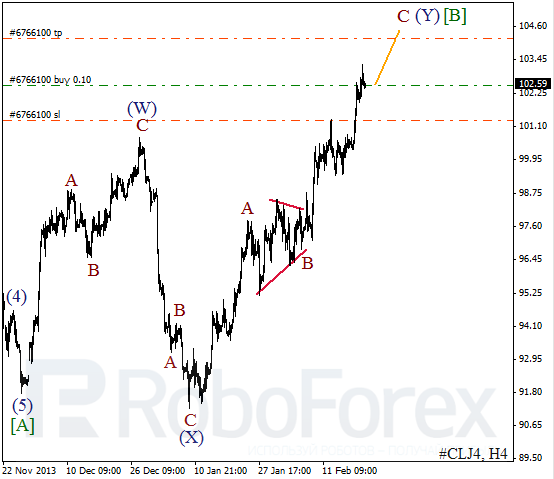 More detailed wave structure is shown on H1 chart. The fifth wave inside wave  turned out to be very long. It looks like wave (2) is taking the form of zigzag pattern. On the minor wave level, instrument is expected to complete wave (B) and start falling down inside wave (C) of . 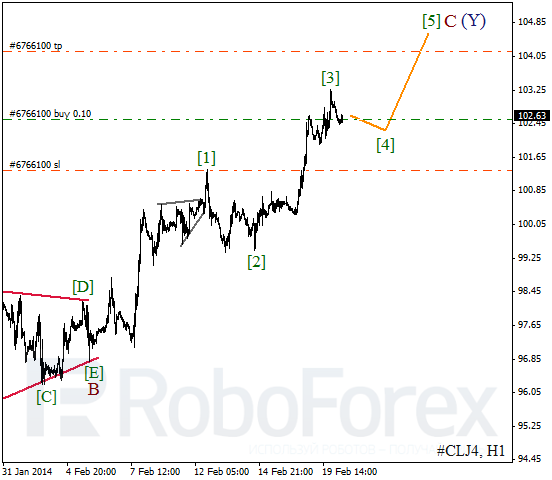 Oil continues moving upwards and reaching new maximums. Yesterday, my Take Profit worked and I decided to open another buy order during local correction. Possibly, instrument may reach new maximum by the end of the week. 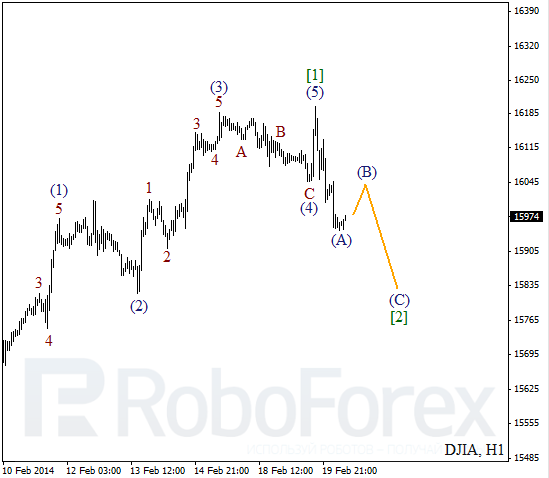 As we can see at the H1 chart, market is forming the fourth wave inside wave C. Instrument is expected to continue this correction during the day. I’m planning to increase my long positions right after price completes initial impulse inside the fifth wave.